Listening to Shannon Bex since the Danity Kane days, we are witnessing a very impressive start to her solo career with the release of the EP titled "I'm a Woman" a grassroots country based album sets the tone quickly with Track 1 "I feel it" her sound is beyond flawless, and it shows alot of maturity from when she began till now. "The river of your kiss" , "I'm intoxicated for your love" Shannon brings a vivid picture to how this is arranged and put together. When you can capture the emotion, and the sounds are compatible with the emotion, this is a very powerful start to her EP. Track 2 titled "I'm Out" was the first single released from Shannon, and became an instant favorite. She sounds at home, and tapping into her roots making memorable country music fits Shannon like a glove. I'm out is very passionate, and vocally it delivers to fans from DK and new fans coming on board listening to her music for the first time. Track 3 "I Wanna Be Lonely" very emotional, and what makes this song so powerful...... is this song, is how I feel on some occasions. "Tonight I wanna be lonely" "Its time I take back me for me" Amazing song. Track 4 "Im A Woman" explains a woman very clearly to me. "Simple, complicated" at times. But also as a man, its always difficult to figure out a woman, and the best thing we can do is pay attention to songs like this, and also pay attention to your lady or a lady when they speak. Shannon gives us game right here, for ladies to co-sign, and also for us men to understand. Very passionate, and a song made for soul searching. Track 5 Damaged (Acoustic) Instantly brings back alot of DK memories, and also reminds us of where Shannon grew up. This acoustic version shows her mature vocals, and the range she has as a very strong, and impressive rising ladies in this business. 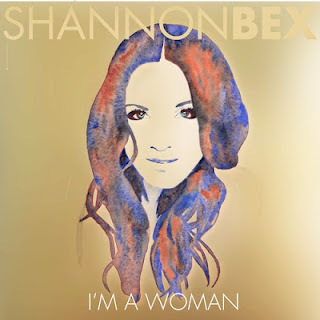 If this is the start of Shannon Bex's solo career, I am on board. Beautiful, amazing voice, and shes blessed us again with passionate music to talk about. I can safely say this will be in my ride for years to come. When you can instantly make music that the world can understand, and remember as far as the sound, the voice, the vocals, the moments captured; you can never deny timeless music, and Shannon has delivered.